And it's finally here! The biggest and tallest ferris wheel in the Philippines . . . A Dream Log that mimics the experience of going down a raging river . . . a Super Viking gondola that swings up to 90 degrees . . . a nostalgic double- decker Carousel. 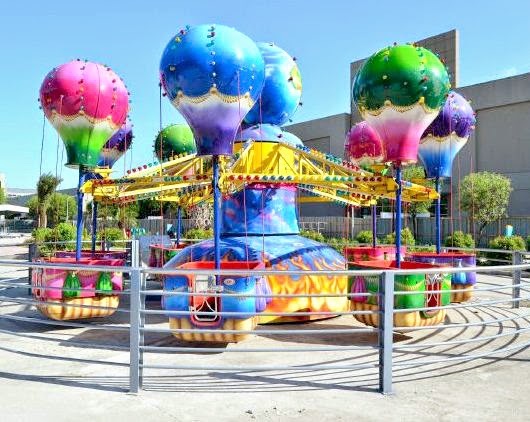 These are just some of the exciting attractions at the Skyranch, which opened recently at SM City Pampanga. 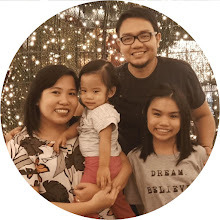 Located on a 10,000 site beside the mall, it is the first amusement park in North Luzon and the newest destination for both local residents and tourists. 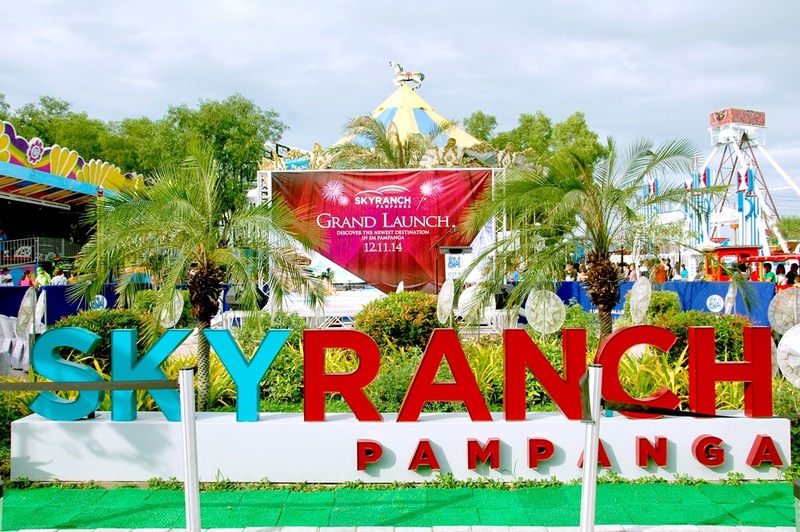 Developed by SM Prime Holdings, Inc. partnership with S&T Leisure Inc. and Westech Philippines, the Skyranch brings all the thrills, all the excitement, and all the fun to kids and kids at heart with its 22 rides. 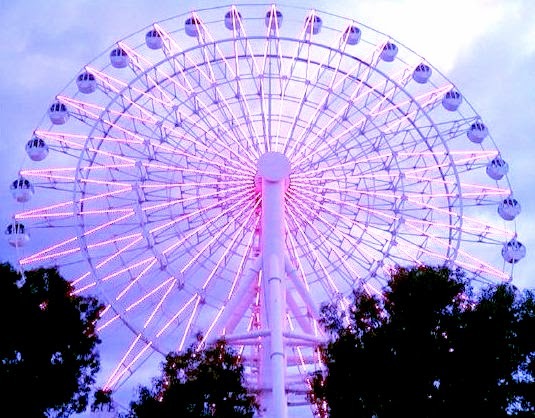 You’ll feel on top of the world with The Big Wheel, the tallest and biggest ferris wheel in the Philippines at 65 meters in height and 50 meters in diameter. 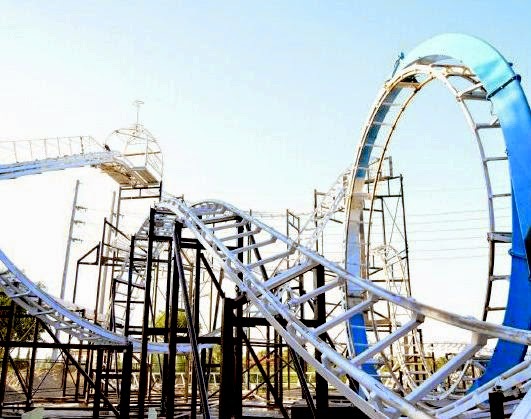 The Loop Roller Coaster, on the other hand, is great for thrill seekers as it completes a 360 circle at the top of the loop, completely inverting riders. Left to right swerving, sudden speed bursts, and camel backs make this a ride to remember. Another roller coaster, the Field Runner, will make your heart beat fast and bring on an adrenaline rush to your system. 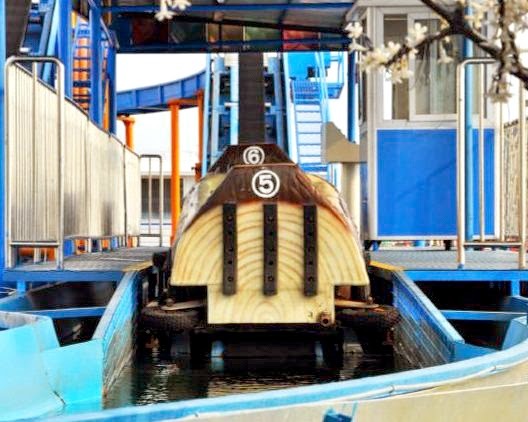 Capture the excitement of a water ride down a raging river with the Dream Log ride. Cruising over 50 minutes of winding waters, it ends with passengers dropping from a height of 9.5 meters into a wet and wild water track. 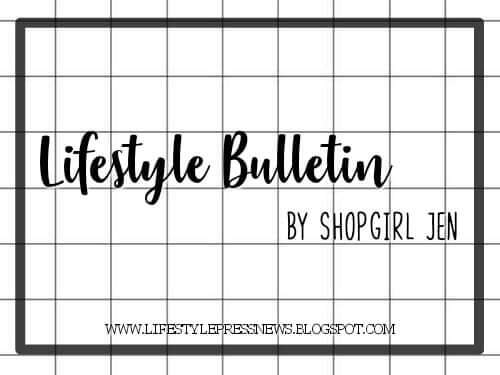 More thrills? The Drop Tower slowly lifts passengers to forty feet high before releasing in a free fall . 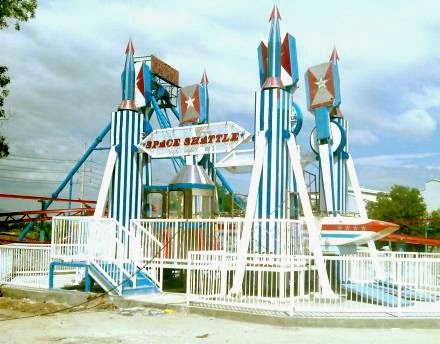 . . the Space Shuttle that swivels with three cycles going to the right, and three cycles going to the left . . .the Super Viking, an open seated gondola that swings up to 90 degrees back and forth. 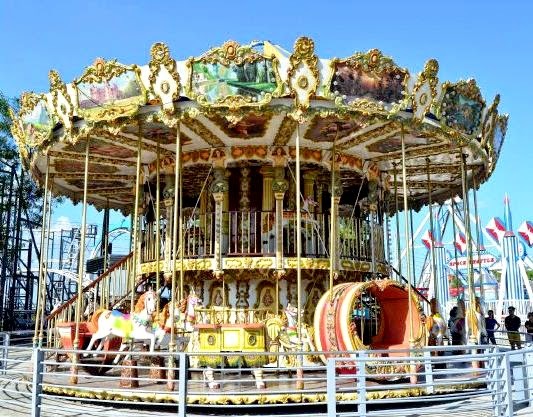 There are also nostalgic rides like the Double Decker Carousel, the classic favorite ride of all time, where kids can ride on magical horses. Designed by Peter Petz Productions of Germany, it transports one back to 20th century world fairs. 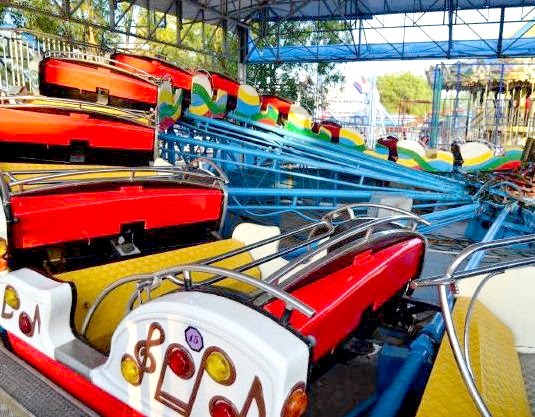 There are also modern Caterpillar and Octopus rides that give one a spinning, flipping, and twirling sensation. 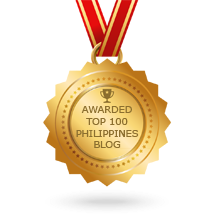 Skyranch Pampanga also has a Planetarium, a theater built primarily for presenting educational and entertaining shows. With its dome shaped projection screen, it provides objects that can be made to appear and move realistically and simulate motion. Visitors of all ages can also have fun with games – booths for basketball, a color toss, ring toss, bowling, and darts, where park guests can bring home stuffed toys and other prizes. Skyranch Pampanga is open to the public from 12NN to 12 midnight on weekends and from 3PM to 12 midnight on weekdays. 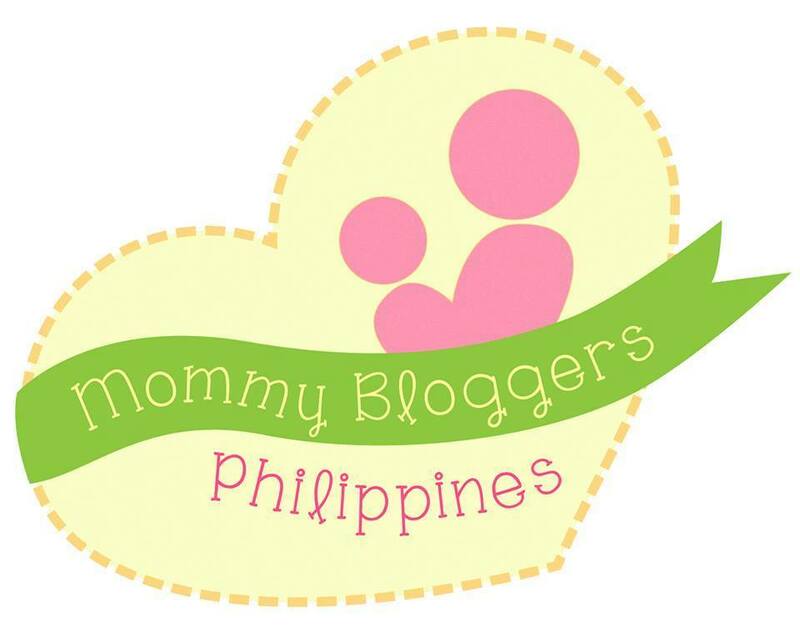 It is one of the many exciting attractions for the whole family at SM City Pampanga.